Having loan debt decreases your career flexibility. 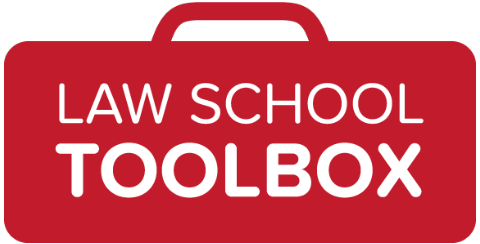 It’s easy to get caught up in the idea that lawyers make a lot of money right out of school. And BigLaw associates do make a hefty starting salary. But what happens a few years down the road, when the luster’s worn off and the reality that firm lawyering is a soul-sucking grind sets in? Can you leave and do something else? If not, you’re going to be miserable. As a wise judge told me once, “Working in a firm is fine, and you might learn something. Just be sure you can leave when you decide to.” Whatever your dream is — from starting your own practice to shifting into a less remunerative, but more meaningful, job — it’s going to be a lot harder when you’re faced with the continuing necessity of clearing $1,000+ per month, on top of your other expenses. You might decide you want to work less at some point in the future. I know we’re not supposed to talk about this openly, but the reality is that a lot of women leave the legal profession, particularly once they have kids. If you’re young and single and driven, maybe you think this will never be you. But there’s a good chance it will be. As Jennifer Alvey put it recently, “Law is a career you marry.” (cf. “The law is a jealous mistress”). However you look at it, it’s difficult to balance a career in law with anything else. When things shift, and other factors start to become more important than your career, will you be able to downsize your job? It’s a lot easier without massive debt hanging over you. Having a lot of debt might prevent you from buying a house. You’ve got the fancy job, time for the next step towards the American Dream! Before you pull out the real estate section, it might be time for a wake-up call. As a general rule of thumb, your entire debt load, including your new mortgage and related expenses, needs to be less than 36% of your gross income. If your debt burden is already 15-20% of your income, that doesn’t leave much room for a mortgage payment! Are you going to be able to sleep at night? It’s no secret the legal job market is having some issues at the moment. It’s hard to get a job, and structural changes in the profession (outsourcing, technological substitutions, etc.) increase uncertainty even for attorneys who are employed. Are you going to be able to sleep at night, knowing that you have a non-dischargeable debt that must be paid even if you can’t find work? Some people take this idea in stride; others, not so much. So, if you’re about to commit to a law school, and you have to take on student loans to attend, what can you do? Educate yourself. There are lots of resources out there which will help you figure out your options. Here are a couple that are particularly useful: Equal Justice Works and Heather Jarvis, Student Loan Expert. Try to minimize your debt. At the intake meeting for my law school student loans, they told us not to live like lawyers in school, or we’d have to live like students later. It’s true. It’s easy to get caught up in the “lawyer lifestyle,” particularly if you’re a summer associate at a large firm. But remember that it’s a temporary phenomenon. Save your pennies for a rainy day, and minimize the amount you borrow. Pay attention to the details. If a school offers you money, make sure you really understand what they’re offering. Is your scholarship guaranteed for all three years? If not, what do you have to do to keep it? There are far too many stories of students offered money for the first year, and then losing it and having to pay full price for the next two years. Don’t let this be you! Try to negotiate your financial aid. Schools don’t publicize this fact, but you can negotiate your financial aid package. If you have a scholarship offer from a second-choice school, send a nice letter to your first-choice school laying out the details of the scholarship and asking them to give you more money. It can work (trust me, I did it). Finally, be very clear about your job prospects. First, you can’t trust a school’s employment numbers. Just don’t. (If you don’t believe me, look at the Law School Transparency Project.) Second, be realistic about the job you’re likely to get. It’s tempting to assume you’ll be in the top 10% of your class (or the top 1%, or whatever), but — for the sake of argument — just assume you’ll be average. What kind of job are you looking at? Could you realistically pay off $100K of debt on that salary? How would doing so impact your life? In the end, it’s your call, and all you can do is weigh the pros and cons and make the best decision you can. But do give some thought to the not-strictly-financial implications of taking on such huge amounts of debt! This post is a part of Women’s Money Week 2012. 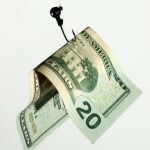 For more posts about Debt, see WomensMoneyWeek.com. Want similar stories sent straight to your inbox? Sign up for our weekly mailing list today! 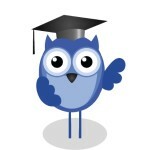 Have questions about law school debt? Leave them in the comments! Image by shuttermon via stock.xchng. I’ve read extensively on this topic in various blogs about people’s debt loads & I realize I come to this from a very different perspective. Essentially, I’m not someone who can go rely on Mommy & Daddy or just live at home to be a lawyer (they live hundreds of miles away in an area I hated living in; I hated this locale so bad that I was severely depressed just being there a couple months after graduating college & knew I’d end up becoming a serial killer or going to jail if I’d stayed). My parents couldn’t even qualify to co-sign for me on undergrad loans b/c of having their own financial problems. I’m also married & my spouse actually co-signed on some of my debt since it meant the difference b/t me having to leave the state (to the hometown where I had zero prospects & worked so hard to get out of), becoming a stripper to stay in law school or having to break the law to have enough to pay law school costs. He didn’t even know me all that well at the time he did it (we’d been dating a couple months at the time). Part of what I did was to get a life insurance policy for enough money to cover the debt he co-signed for if anything happened to me. If you’re not having a spouse co-sign or including him/her on the debt in some way, that person’s not responsible for it if something happens to you. That is the law. Plus, if it’s not part of the marriage it also stays separate in a divorce. Plus, if there’s no money in the estate for a debt they can’t stick you in debtor’s prison. My sister’s late husband had credit card debt when he died; they couldn’t collect from her since her name wasn’t on the account, she didn’t co-sign or take any financial responsibility for it. He was also 21, had a heart condition & no health insurance so you can imagine how much his “estate” had. My sister was left with nothing & their son was 3 weeks old. Just having the funeral & burial was a massive financial expense. I think the best a prospective law student can do is be educated, know the laws, do the best you can for yourself (look into LSAC fee waivers & the like) & know what you want to do. Get as much research as you can, talk to practicing attorneys (ideally as new as possible since they are closer to the situation you’ll be facing at graduation than someone who’s been practicing for 50 years) & make certain you know what the risks are. 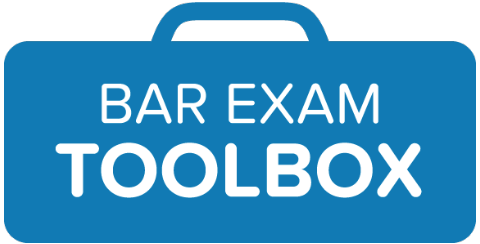 Consider worst case scenarios & what you could do if you didn’t go to law school. Honestly, I’ve not seen student loan debt be an issue in dating. Maybe it’s different for women & maybe more so if you’re not society’s definition of cute/hot/pretty. All the attractive people I know (including me) have never had any issues with that, as far as I know (this includes people in the entertainment field, which definitely isn’t know as a money maker for the average person, even down to law school classmates). I also don’t know what the men making those statements look like or how they treat others but based on other remarks they’ve made, I wouldn’t recommend them to a single female. I should also mention that I’m not into “status” & am very frugal but I’ve been doing this my whole life, partly from necessity & partly because I saw family members wasting money and was appalled by it. Thanks for sharing your story! Great idea about buying life insurance if someone’s cosigning. Should have been obvious, but I’d never really thought about it! Don’t ever marry someone with debt, if you don’t have any yourself. PERIOD. Well, that’s probably taking it a bit too far (student loan debt, for example, generally is the responsibility of the person who incurred it, even after a divorce), but I understand the sentiment! It’s scary to think about taking on a ton of debt from someone else. God help the person married to you, Sandy. I’ll take debt over a bad personality any day of the week. This post is weirdly inspiring, it shows that yes the debt is going to affect you, but you can do something about it. I am currently engaged and my fiance has his own amount of debt due to student loans and business loans. We have to budget everything we do and watch but we are fine, now with me wanting to attend law school we have to consider the implications of gaining most likely another $100,000 in debt. This will affect not just me but both of us and our future. Hopefully I will get scholarships and aid to help and also be employed relativity soon after graduating, but what if I don’t. This could put our other dreams on hold, a house, kids, expanding our business. I just have to do what I can and believe that it will pay off in the long run. Our dreams may have to be put on hold for a little longer than we would like but it just allows for bigger dreams later! Just be sure you realistically evaluate all your options. Student loan debt is a big deal, and you definitely want to consider various options for repayment before you sign on the dotted line! I recently met a doctor who was earning a great living. He had hefty student loans. Even with his ‘great’ income he did not qualify for a mortgage because the debt to earning ratio was still out of whack. I suggest everyone do a cost benefit analysis before they take on $100,000 in debt (plus interest over time). It isn’t just the debt incurred. It is the lost income during those three years of schooling that you have to factor in as well as the lost opportunities. It’s one thing to say you will defer your dreams. But it isn’t just deferring your dreams, it is climbing out of a financial hole bigger than you really anticipated because you are not factoring in lost earnings, the growth on those lost earnings compounded over the cost of ‘catching up’. If you are realistic about the job market for new attorneys and still want to pursue it, make sure your passion to practice law is your reason for being. I’m surprised by how many of my classmates are barely 3 years out of law school and already buying a home. Though most of them are women who married a man who makes enough income that the student loan debts don’t prevent them from buying a home. I personally don’t think buying a home makes financial sense anymore these days so that isn’t a worry for me. Thankfully for me I did have family support through law school that allowed me to minimize my debt and avoid taking out loans for living expenses. I think that is what really creates huge debts for people. Considering they said at Cal Western you should not try to work during your first year of law school it is almost as if they expect people to take out those extra loans. Seeing people living downtown and walking distance from the law school only because of additional loans is completely ridiculous. The tuition is high enough already to scare some people from attending. I’m not sure that his debt-to-earning ratio is really the problem. My wife and I just purchased a house, and neither of our credit scores were impacted over the (ridiculously lengthy) search from paying down our debt. They were, however, dinged to no end by the bank having to re-pre-qualify us for our loan. Credit cards are what kill you in buying a house. Now, on the other hand, student loans DID make it damn near impossible to put together a down payment (I’ve been out of law school for 8 years now), so that’s probably the biggest true hurdle. Oh, and student loans are tanking the economy. Who spends everything they make? 20 somethings. Who no longer has any money to spend? Exactly.